ISPserver Review 2019: Is ISPserver a Good Hosting? From their data centers in Moscow, ISPserver provides fully-managed hosting plans and dedicated servers along with domain name registration and value-added services such as DDoS attack protection, real-time website monitoring, and regular backups. ISPserver offers low-cost shared hosting plans, VPS, and solid dedicated servers with full DDoS attack protection in addition to domain name registration and extras such as backup storage and website monitoring at reasonable prices. Their website is available in both Russian and English. Suitable for small websites and personal blogs, their shared hosting plans come with your choice of cPanel or their in-house ISPmanager 5 Lite control panel in addition to a number of features and user-friendly tools. You can choose from three fully managed plans with bi-weekly backups and DDoS protection for your websites and web apps. Each of ISPserver’s shared hosting plans feature SSD storage. Their entry-level plan, dubbed First, comes with a cap of one hosted domain, a free .ru or .рф domain registration (with purchase of annual plan), five databases, and 10GB SSD storage. This can easily support a blog or website with a healthy amount of multimedia and web traffic, not to mention the fact that the amount of disk space they’re offering is above the market average for this price range. ISPserver also provides SSD virtual private servers with an ISPmanager 5 control panel. 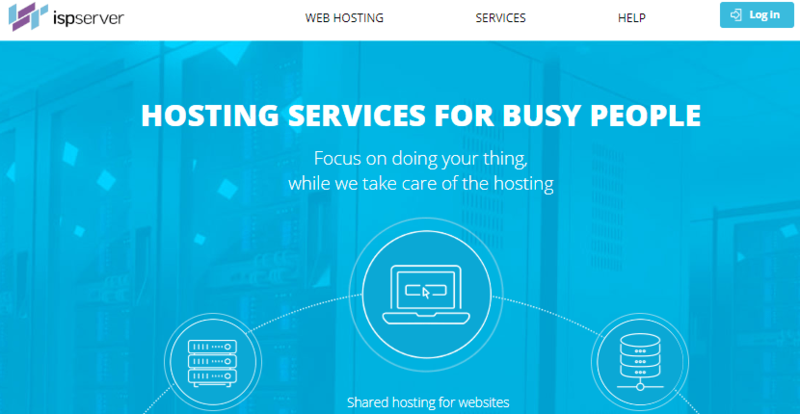 Their VPS plans are good for medium-sized to large-sized online businesses that require dedicated resources for their mail servers, enterprise software, or focused web projects. With their VPS hosting, you get four ready-made plans: VPS Project, VPS Startup, VPS Develop, and VPS-Business with one to four cores, 1-8GB RAM, and 50-200GB HDD storage. During the checkout process, you can specify the speed and security of the connectivity you’d like, ranging from 100Mbps unmetered traffic to 20Mbps on a DDoS-protected channel. If the pre-existing configurations don’t satisfy your VPS requirements, you have the freedom to customize your virtual server to match your desired RAM amount, disk size, core processors, and network channel. Network engineers are always on standby to assist you with server installation and configuration. Aside from shared hosting and VPS, you can also order fully-managed bare-metal dedicated servers for your online gaming or traffic-heavy e-commerce websites. They offer two locations – Russia and Germany – and a maximum configuration of 64GB RAM, 36 CPU cores, and 2TB NVMe SSD storage. With TurboBoost and error-correcting modules, their Intel processors can accomplish many tasks at terrific speeds without blowing your budget. Overall, their website is clean, mobile-friendly, and easy to navigate. I like the fact that they have two versions, English and Russian. There are no upsells and annoying popups. You can easily compare plans and place an order from a service page. Setup is also fast: your account becomes active the moment your pay for your package. ISPserver’s prices are amongst the cheapest I’ve seen so far. They have a number of low-cost hosting plans that you can order and pay via PayPal, credit card, bank transfer, and Yandex.Money. From the order page, you can add IPv4s and domains (both are optional) and select your preferred billing cycle before you check out. You can choose from monthly, quarterly, semi-annual and annual plans. They’ll give you a 20% discount and a bonus .ru or .рф. if you sign up for one year. I encourage you to sign up for their 7-day free trial just to have a feel of their hosting. ISPserver provides fast and professional technical support in Russian and English. Available 24 hours a day, they resolve over 70% of your hosting problems or account-related issues within 15 minutes. You can call them between 8 a.m. to 5 p.m (UTC+8), send them an email, or chat with live operators whenever you need assistance with website migration, server configuration, software installation, or troubleshooting. As your eyes on the ground, they also regularly monitor servers to ensure they meet the expected level of performance. onClick="trackClickout('event', 'clickout', 'Vendor Page - Visit User Reviews', 'ISPserver', this, true);"
I rent virtual servers at ISPserver. Yesterday I got a message they were gonna move my servers to a different location with IP_CHANGE. I requested some time to take precautions. Today they informed me the new IP of the already moved sever. It was not possible to reactivate the original server on the old IP. This is not seen in the professional hosting business. With support for both English and Russian-speaking customers, ISPserver is a good choice for anyone who’s looking for shared hosting or managed dedicated servers with full DDoS protection. Wondering how ISPserver stacks up against other Web Hosting companies? Enter any other Web Hosting company and we will give you a side-by-side comparison.